When: Through April 20, 11 a.m.-9 p.m. The Bunny Photo Experience begins Friday, March 22 and runs through Saturday, April 20 at Center Court. 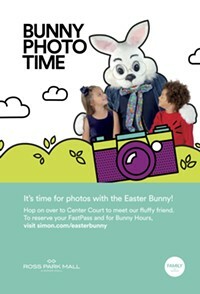 Kids will have the chance to visit with the Bunny and take home a treasured snapshot of the fun occasion. 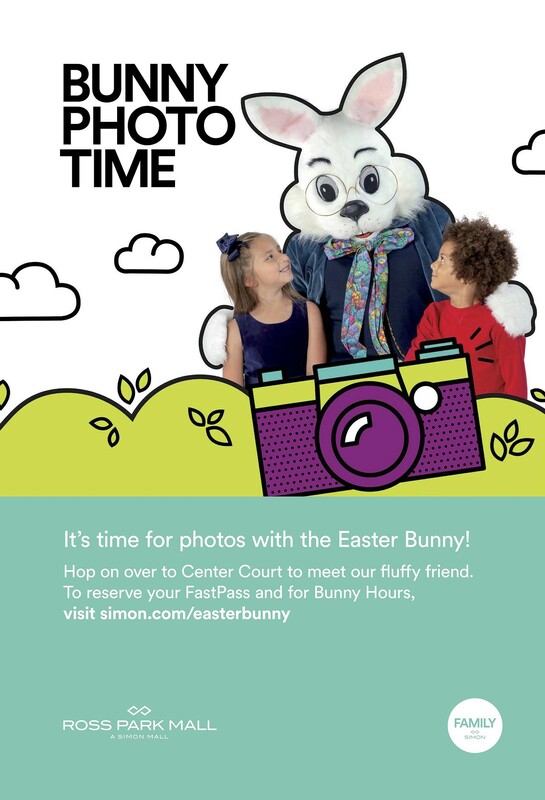 Save time and avoid the line with the Bunny's FastPass! Now you can reserve your magical moment with Bunny online at simonbunny.com.